Looking for a little inspiration? 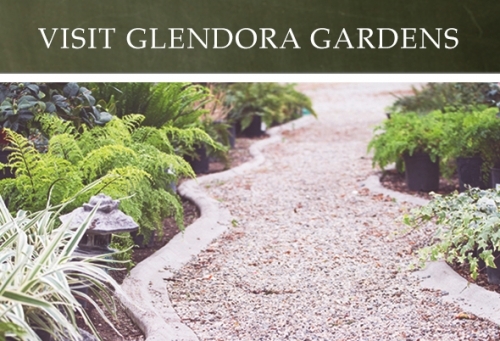 There's no better place to relish in the beautiful spring weather than at Glendora Gardens Nursery! 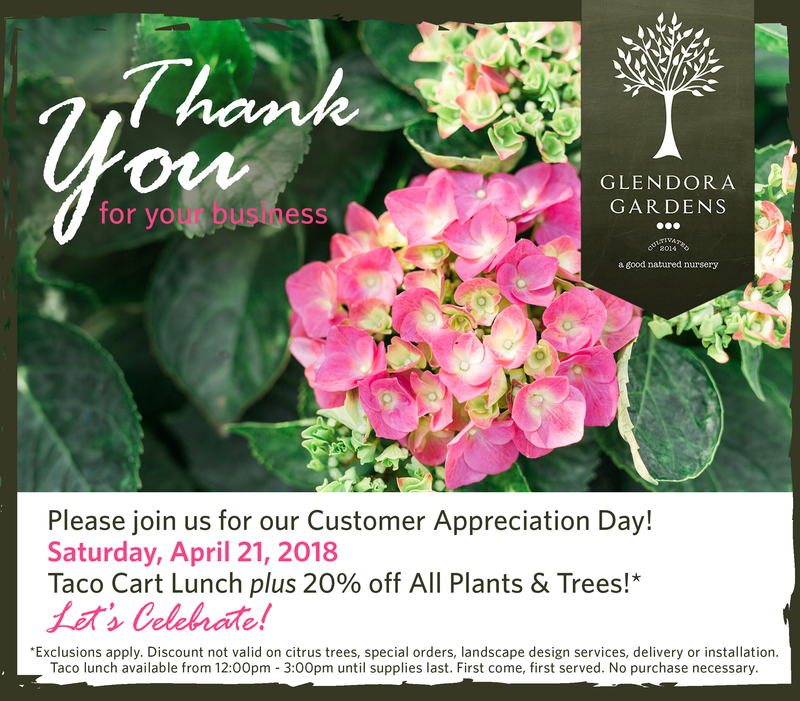 Stop by this Saturday, April 21 and receive 20% off your entire purchase of plants and trees. And while you fill up your carts, we welcome you to fill up your bellies too! Back by popular demand, we'll be serving up a FREE taco cart lunch to all our customers. Bring the whole family! Taco cart lunch will be served from 12:00pm - 3:00pm (while supplies last). Come hungry and leave happy with a new plant, or tree, or two! We hope to see you here!